The job market changes every day, especially when you consider how low unemployment levels are. If you are like most companies, you probably need talent, and you need them yesterday. Today we’ll look at how you can speed up the overall process. You lessen the risk of an applicant having multiple offers. While of course that’s always a possible outcome, if you shorten the time frame, you’re shortening the chances. It makes applicants happy to have a fast process. It means they spend less time waiting and wondering—less time wondering if they’ve made a mistake by applying to a nonresponsive organization. The faster you fill a position, the sooner you can reach full productivity for the role. Even better, if there’s overlap that allows the exiting employee to train the new hire, you’ll be even closer to returning to full productivity. Other employees appreciate it too. When there’s no overlap time, hiring quickly reduces the amount of time that other employees have to pick up the slack. (If they have to do so for too long, they could become resentful and it could impact morale). You’ll bolster the employment brand if you’re seen as an organization that’s easy to work with during the hiring process. Speed and responsiveness play a big role in that. You’ll have more time for other tasks. Speeding up the hiring process means that the HR team can free up more time for their other responsibilities. Naturally, if you’re going to try to speed up the hiring process, you’ll want to be sure you’re not sacrificing the quality of your decision making. Don’t take shortcuts that short-change how confident you are in the new hire—we all know that a bad hire is a costly mistake to make. Utilize automation to your advantage whenever practical. For example, you could have an online system that sends a message to any candidate when their status changes. Doing this means less time spent on follow-up without sacrificing how frequently candidates are contacted. Use efficient means of finding candidates. 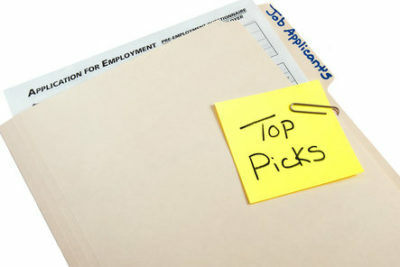 Take a look at all of the various avenues available to you to publicize a job opening. Which ones tend to have fast response rates? If you haven’t assessed this, consider starting now so you’ll have data to use in the future. Are there means of finding applicants that you haven’t yet tried, such as internal referral programs? Do you effectively utilize social media in the recruiting process? There may be faster ways to get applications in hand. Always be looking for potential candidates. Consider holding networking events or participating in community activities that keep your organization top-of-mind. This can help you in the long run because it will make people more likely to quickly respond when you post a job later. It also helps you make connections that may be useful in the future. Are you finding you’re spending too much time screening? This may mean you would benefit from more targeted placement of the job posts so your responses are from better qualified candidates. Or, it could mean that the job description does not give enough detail on the requirements. Are you spending a long time scheduling interviews? Consider prescreening options to reduce the number of candidates. Or, consider using a third party to handle the scheduling headaches. Are you waiting too long and not getting enough applicants? The job post may need to be modified, or the reach of the post may need to be expanded. Keep job descriptions updated. Don’t wait until the job must be filled to make updates. Consider implementing a process in which job descriptions are reviewed on a regular basis and updated as needed. Consider using preliminary screening processes before interviewing candidates. For example, the HR department or recruiter can perform initial phone screening with candidates to assess some of their key skills before selecting a smaller number of applicants for in-person interviews. Prescreening could also be done in the form of questionnaires or assessment tests that help to narrow down the candidate pool without taking too much of the recruiter’s time. This can speed things up because it means you’ll have fewer people to interview in person. Consider conducting interviews online. With video-calling technology, it’s easier than ever to conduct an interview remotely. Less travel time to coordinate means you can schedule interviews sooner—even with local candidates. Consider other nontraditional interviewing options. For example, you may be able to meet with interviewees sooner if you’re willing to meet outside of business hours and/or meet at a location of their choosing. Doing this could mean you complete all of your interviews in less time. Consider utilizing group interviews to reduce how much time the interview process takes. Assess when it makes sense to get help from a third party. For example, you may be well-served to use a third party to do the posting and prescreening process. Or it may make sense to use a third party for conducting background checks. Any time you can get extra help with the process—which often allows multiple steps to be completed simultaneously—you have the opportunity to complete the process faster. This is especially relevant for any organization without a dedicated staff for hiring, but it’s valid for everyone. Create succession plans. By having a succession plan in place for key roles (or perhaps every role, depending on the size of the organization), you’ve already done some of the initial groundwork required to replace someone. Have a plan in place to review and assess candidates after your screening process is complete. For example, it helps to know in advance who must sign off on the hiring decision, what salary range can be offered, and who is authorized to negotiate pay and benefits. Have a timeline in place right away, and schedule meetings to discuss candidates and options. Just by having these things lined up before you begin, you save coordinating time later. What else has your organization done to speed up the hiring process?